For four years he held the position of President of the CIS and in the difficult times of the Homeland War (1991st to 1995th). After the declaration of Croatian independence, the president Ivo Legiša managed to preserve the activity of association and gathering of all the engineering professions and skills to achieve this goal. At the same time it was necessary to develop new products and open new markets after the collapse of the former state, which is still actual. 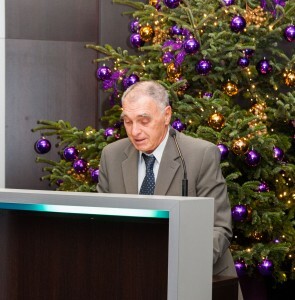 He was one of the founders of the Croatian Society for Fuels and Lubricants. In the Society he was positioned in whole range of responsible functions. GOMA notes 50 years of its founding and also 50 years of publishing the professional journal Fuels and Lubricants. In half century of action GOMA organized 46 international professional and scientific symposium, held a number of expert seminars, discussion roundtables, published several books, manuals, English-Croatian oil handy dictionary and printed on thousands of collections of symposium papers and their summaries. 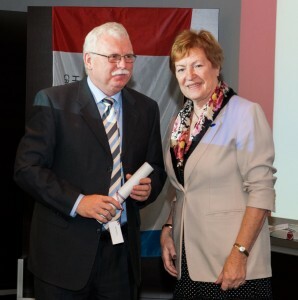 In these activities, Mr. Ivo Legiša has made a great contribution. 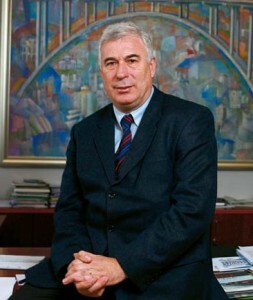 He has been president of the Croatian Society of Structural Engineers, founded 60 years ago. In his mandate he has given a special contribution to the renewal of the House of HIS, enabled the promotion of member activities through history, from its foundation to the memorial print – HIS books 2003 and found possibilities for decoration of new office space for HIS members . Croatian Society of Structural Engineers is responsible for the program of continuous professional development approved by the Ministry of Environmental Protection, Physical Planning and Construction in Croatia. Every four years is organizing the International Scientific Congress and publishes works and whole range of manuals and textbooks. In these activities, Mr. Jure Radić gave significant professional contribution. 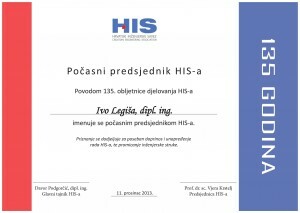 KONČAR – Electrical Industry Inc., recognition was awarded to Mr. Darinko Bago, Head of KONČAR – Electrical Industry Inc.
DOK-ING is a Croatian company 100% privately property, founded in late 1991 and registered for the production of robotic and specialized equipment. DOK – ING is one of the companies that have grown “from home garage”. The main guiding principle of the company was to develop and produce machines that make easier for people to work in particularly dangerous conditions. The headquarters, manufacturing facilities and service are located on 15,000 square meters in Zagreb. Secondary manufacturing facilities are located in Slunj. Together with a branch office in the United States, there are branches in South Africa, DOK-ING Africa, which supports the South African mines. Today, DOK-ING has 220 employees, nearly 170 in Zagreb, another 30 in Slunj and 20 in South Africa. DOK-ING has developed and introduced the concept of automotive electric car DOK-ING XD – small urban electric car, luxurious but simple, which is the vision of using technology of the 21st century.